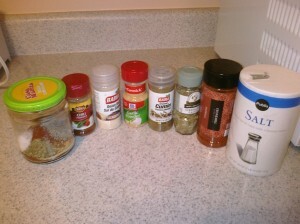 Today, I made a double batch today of homemade taco seasoning! 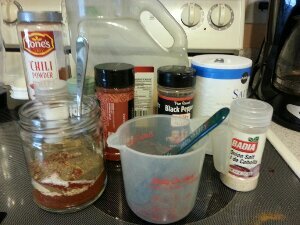 A neighbor was kind enough to give me huge containers of Chili Powder and Garlic Powder and the main ingredient is Chili Powder so this has made making my homemade seasoning even cheaper. I also love not having to run to the store because I forgot a taco seasoning packet. If we run out, I simply whip up another batch. Click HERE to see my original post on this and to see the recipe. We recently tried making homemade pizzas when our friends were over for dinner! We LOVED them. The first time we made them it would have been cheaper to buy premade pizzas because we didn’t have most of the ingredients on hand, but every time after we made them they were a lot cheaper than buying whole pizzas plus they are fun to make. We really enjoyed picking the toppings and making the dough. 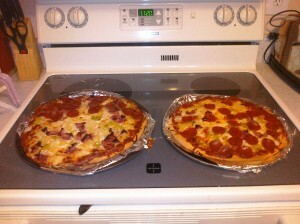 We found a few different sites that told you how to make the pizzas but we liked this one because it had pictures HERE. 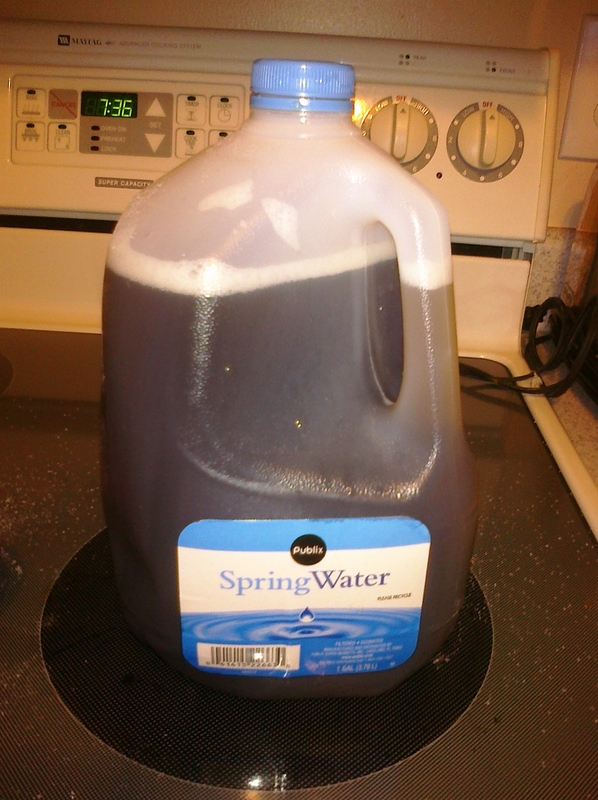 If you have never made your own sweet tea then you obviously don’t live in the south. Just joking, but I made some sweet tea with our coffee maker recently and I wondered how many people actually do this. 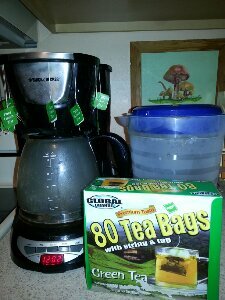 I used tea bags I already had in the house, put them in the top of the coffee maker, added water and ran the coffee maker like I would to make coffee. Let it cool, add sugar and you have fresh brewed Sweet Tea. I have worked at restaurants for years that sell sweet tea and they make it in a very similar way. This is something I make when we are out of other sweet drinks in the house and I am trying to stretch our grocery budget since I have everything to make it on hand. Note- I recommend using decaf tea bags because the tea can get very, very strong if you don’t. Mix all the ingredients above in a small bowl. 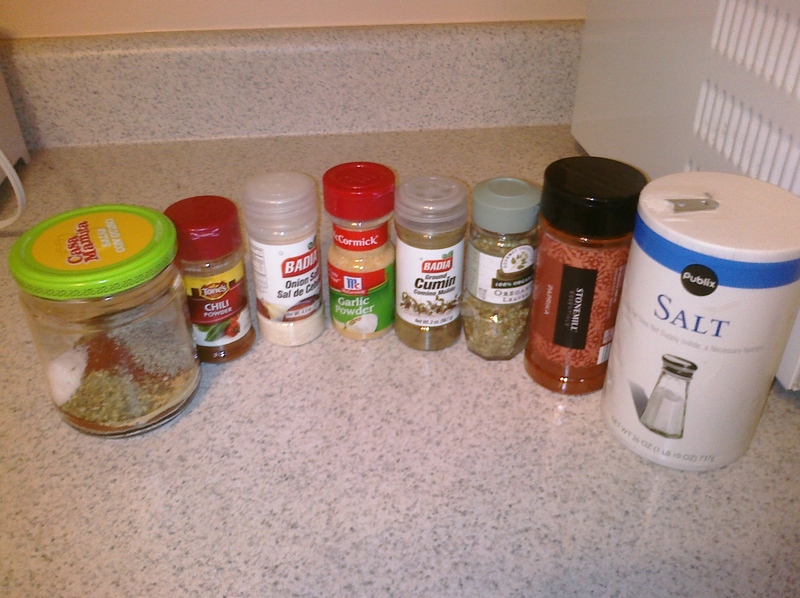 To use substitute 2 rounded Tablespoons for 1 packet of taco seasoning. Thanks, Smashed Peas and Carrots for the recipe. One grocery item that we go through like water and constantly run out of is coffee creamer. 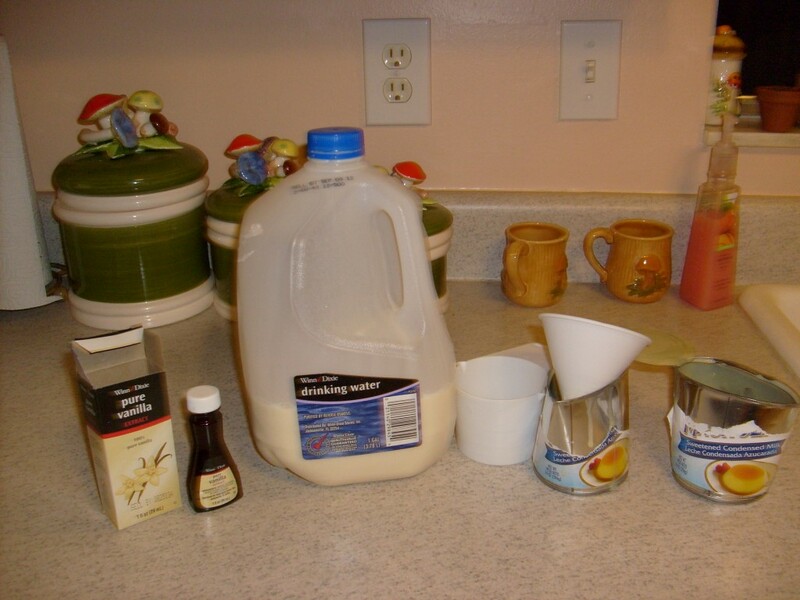 It is so much cheaper to make coffee at home than to buy it, even with the cost of coffee creamer, but I wondered- could I make it myself for even cheaper? I doubled the recipe and it made the amount in the water jug in the picture above. So for about $5 I made just a little bit more creamer than what a $3 coffee creamer generally holds from the store. This coffee creamer was MORE expensive than the coffee creamers from the store plus the time and energy required to buy everything and make it. The taste was good but not quite as good as store bought coffee creamers. Overall, this project didn’t save money but it was fun to try. I may try other recipes in the future to see if they will be more cost effective. If you already have the ingredients on hand (I didn’t but you might!) then this would be much cheaper and it is easy to make. I cooked the rice and browned the ground meat and then put everything in a pot on the stove to cook on low for a short time. Some toppings we used with it were sour cream, hot sauce and cheese. This was a cheap and easy meal that I will definitely make again.